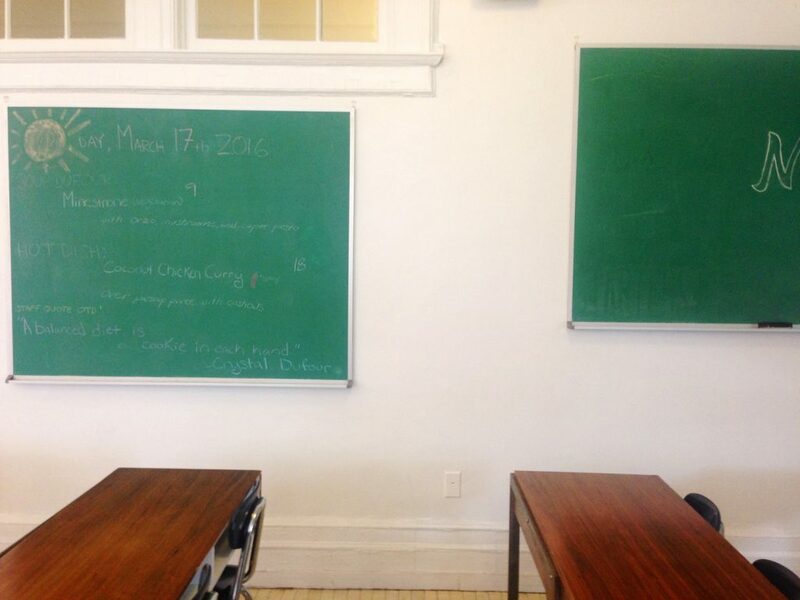 Red brick, hardwood floors, school desks and chalkboards… We are back in Queens, New York, at MoMA PS1. 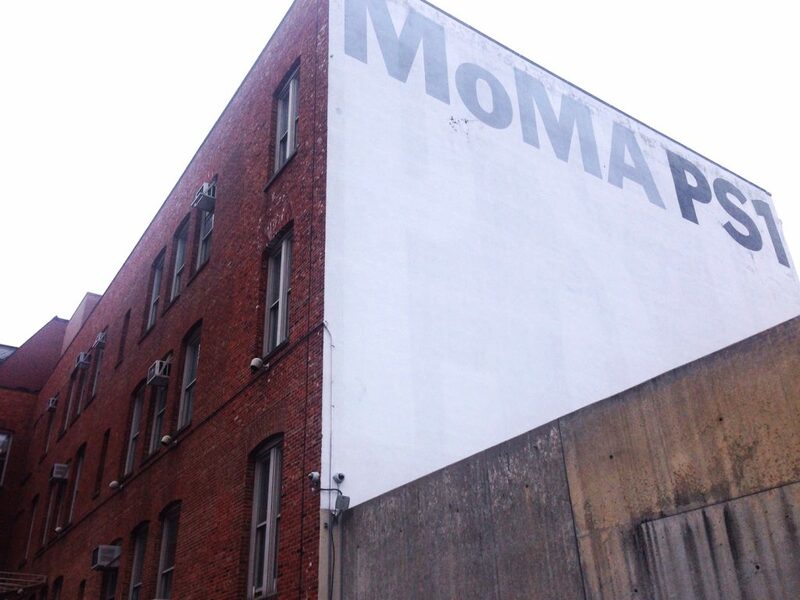 MoMA PS1 was founded in 1970s and since then went through many transformations. 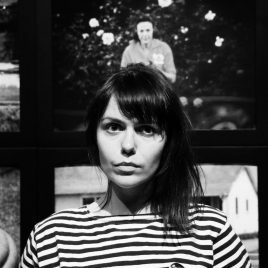 Today MoMA PS1 presents the most experimental modern and contemporary art. 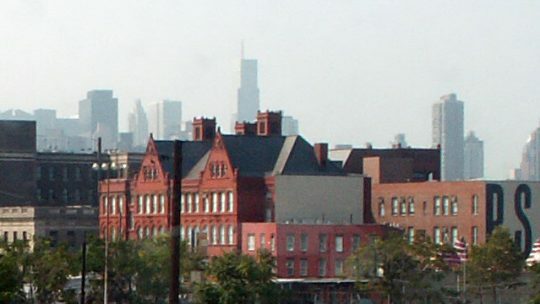 The museum occupies what used to be the first public school in Long Island City. Since then very little has changed in its architecture. Well, classrooms were transformed into 70.000 square feet exhibition spaces. Add to that music and dance performances such as Boiler Room Sunday Sessions. The building’s identity and history is manifested everywhere: halls, stairs, classrooms, and – the school cafeteria. 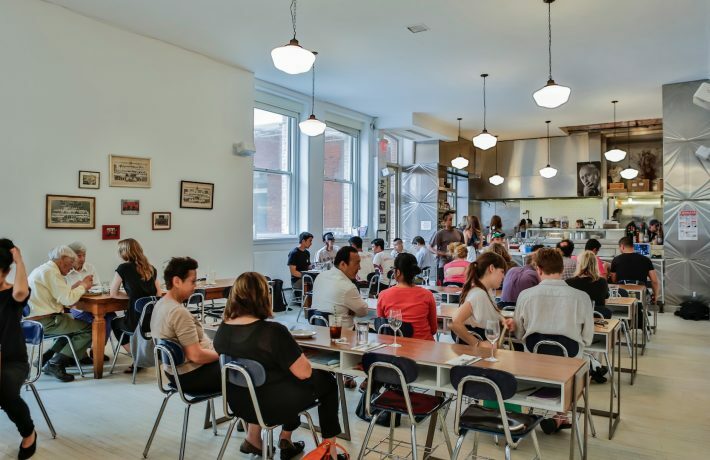 M. Wells Dinette housed in the museum is neither a restaurant nor a bistro. It is a school cafeteria. 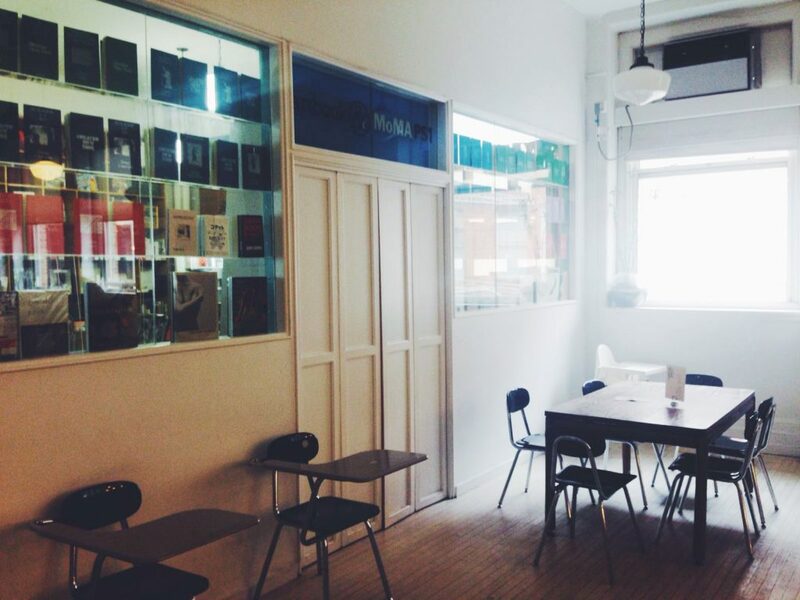 Those who have bad memories about school – M.Wells Dinette should be you number 1 destination in Queens. Why? To feel the difference. It’s a place to go for brunch, stay for lunch tasting a good selection of wine, or simply grab coffee before heading to the bookstore located in the classroom right by the dinette. The MoMA PS.1 bookstore selection is exceptionally good, we will write about it soon for our TOUCH section. Back to the dinette. The menu is a fusion of different cuisines: French, Korean, Spanish. French dishes are created by the chef from Quebec dominate. Which is great, isn’t it? 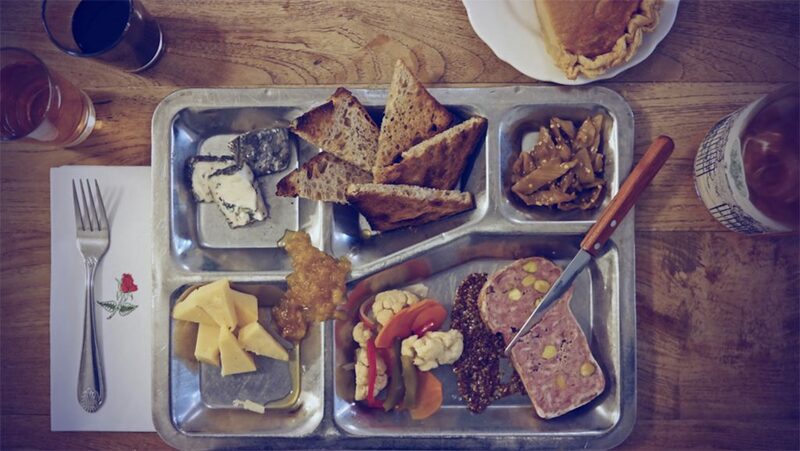 In the menu – sandwiches, pies and a lot of meat ( liver pate, foie gras, etc.). 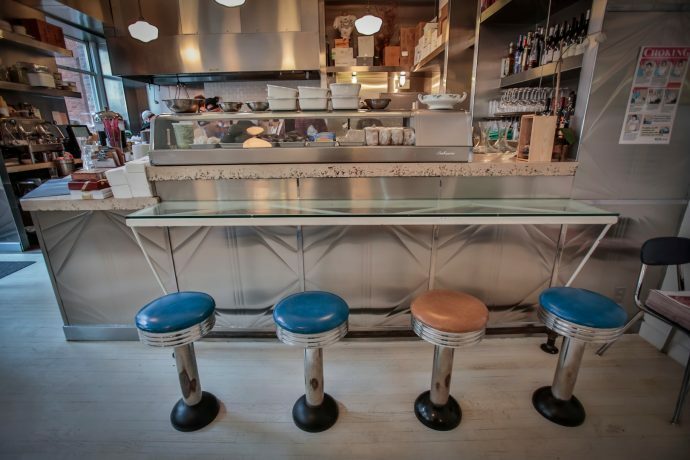 What is so special about the M.Wells Dinette? First, you can enjoy your lunch not being afraid to be late for the class or feeling guilty for not having done the homework. Second (and the most important!) you will be served a good selection of beer, cider and wine. The blackboard serves as a menu listing daily specials. The menu changes everyday so, if you are ok with paying the 10$ museum fee, get ready for a great variety of lunch options. The dinette’s design is an homage to the public school. 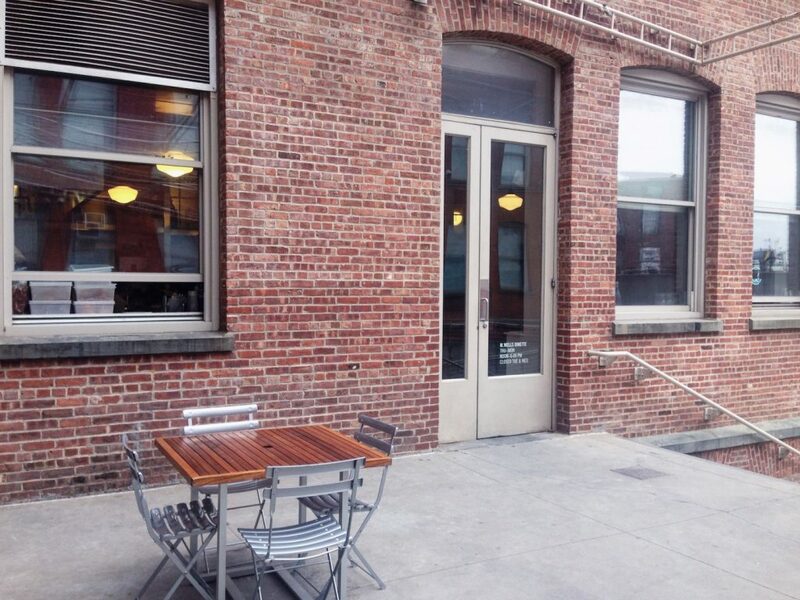 Communal tables and school chairs, open kitchen and plain walls. 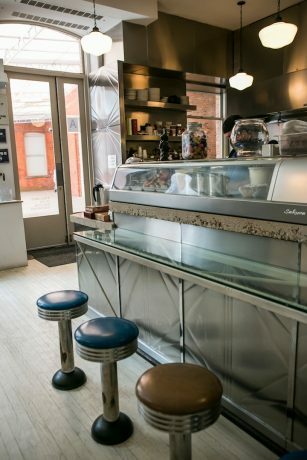 The dinette is an attraction on its own, open in regular museum hours. It’s like going over the archival photographs or design items. 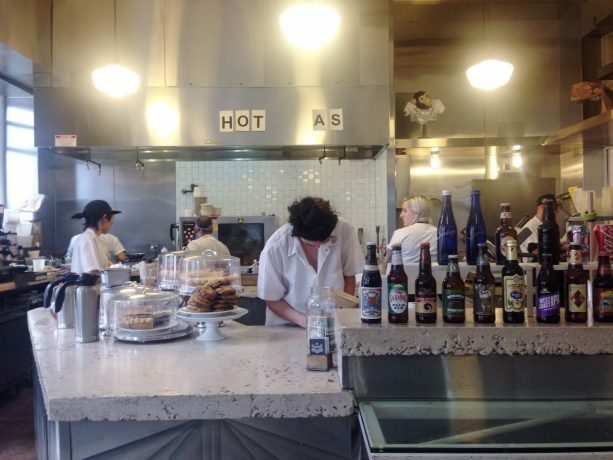 M. Wells Dinette is a brainchild of Hugue Dufour and Sarah Obraitis. Every New Yorker who loves good food is most likely familiar with this duo. Their restaurant M.Wells used to be very famous in NYC. Museeum loved the food experience at M.Wells Dinette and we can assure you it has nothing to do with memories of a public school food. On the contrary it is way too good for the school cafeteria. We think this place definitely deserved deserves the title of one of the best and most creative museum restaurants.